Lately, we’ve all heard a lot of talk about harassment. Most people probably think they know what they should and shouldn’t do when it comes to interacting with colleagues. As witnessed by recent news events, however, it’s obvious that people’s behaviors don’t necessarily reflect an inherent understanding of right and wrong. Here’s the thing— many people are familiar with the concept of harassment, but few people understand workplace civility. In fact, these are two different concepts with equal importance in work settings. Does your company need civility training? It’s quite possible. Is civility training the same thing as anti-harassment training? Absolutely not! What’s the Difference Between Anti-Harassment Training and Civility Training? Anti-harassment training tends to be pretty specific. 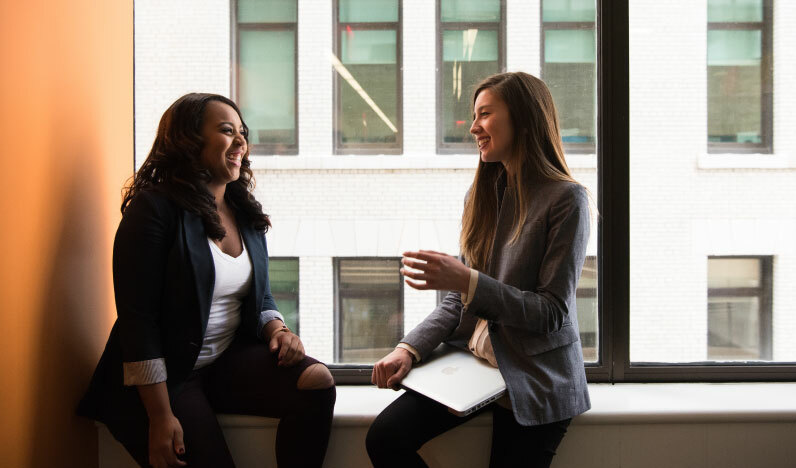 In these sessions, employees learn how to engage with their colleagues without being intimidating or offensive to others—either of which can cause a hostile workplace. Sexual harassment is a big element that’s being addressed these days (and for good reason) but there are other forms of harassment, which could lead to problematic situations for companies. Harassment is often associated with certain words or actions that are intentionally delivered unto another individual, with negative intentions. Civility training is aimed at addressing conversations and actions co-workers may inflict upon each other without really realizing they’re doing so. It all comes down to respect. In today’s ever-diversifying workplace landscape, it’s important for people to understand how to build an awareness of themselves and their surrounding environments. Civility is a skill necessary to avoid engaging in negative actions or conversations. Put simply, harassment training outlines what not to do in the workplace, while civility training outlines what to do so that coworkers can feel valued and respected for what they bring to the workplace. Both types of training target practices that can make a workplace toxic, but civility training often opens employees’ minds to actions and behaviors they may not realize negatively affect those around them. Civility is a core competency that’s truly necessary for the success of any business, no matter the industry or size. It’s the main barrier preventing negativity, resentment, poor employee morale, and bad customer experiences—each of which can inflict devastating results upon an organization. According to McKinsey&Company, the number of employees who report being treated rudely by colleagues at least once a month has risen dramatically in the past twenty years—growing from 49% in 1998 to 62% in 2016. Although the idea of civility in the workplace has been around forever, this sudden, stark increase of people feeling disrespected at work is alarming. Clearly, a lot has changed over the last twenty years, from Millennials entering the workplace to social media forever altering the way we interact with others. The lack of respect in the workplace could certainly be a reflection of society at large. Entitlement and a general disregard for others’ feelings is becoming an inherent part of life—both inside the workplace and out. What’s important now is that leaders acknowledge this trend and take action so they can become role models for respect and create cultures of civility within their companies. Hire a firm that specializes in civility training. This is a great way to go because your team will be taught by experts in the field who are equipped to answer questions and combat difficult situations. Exemplify the behavior you want to see from your team. Demonstrate respect for yourself and others. Be proactive in your efforts to promote civility so you don’t have to be reactive to unpleasant situations. Self-monitor your own words and actions. As a role model, you need to be aware of the way your words, body language, and interactions impact others. Create an inclusive work environment. Your organization will only ever realize its full potential if everyone’s differences and characteristics are recognized and respected. If you’d like to learn more about how civility training can optimize your company’s environment, we’d be happy to help! Our next public Civility & Inclusion Workshop is October 24, 2018 in King of Prussia, PA. If you have questions, don’t hesitate to contact us! As a Training & O.D. Specialist, Susan Redding specializes in helping organizational leaders develop in-house talent, strategically affect corporate culture, and lead their teams into successful and profitable futures.